The South Fork of Long Island extends only forty miles, stretching east into the Atlantic Ocean from the Shinnecock Canal to the majestic bluffs at Montauk Point. Dotting the coastline are the stylish Hamptons—Southampton, East Hampton, Westhampton Beach, and Bridgehampton—and villages of Sag Harbor, Amagansett, Watermill, and Sagaponack. The landscape in which these towns sit is unique in the United States. It is not one landscape but a collection of them—dune, farmland, woods, bays, swamps, ponds, marshes, pine barrens, and a high ridge, the moraine left by the glacier that long ago swept across the continent. All is bathed in an extraordinary silvery light that, at once warm and crisp, washes over both land and sea. 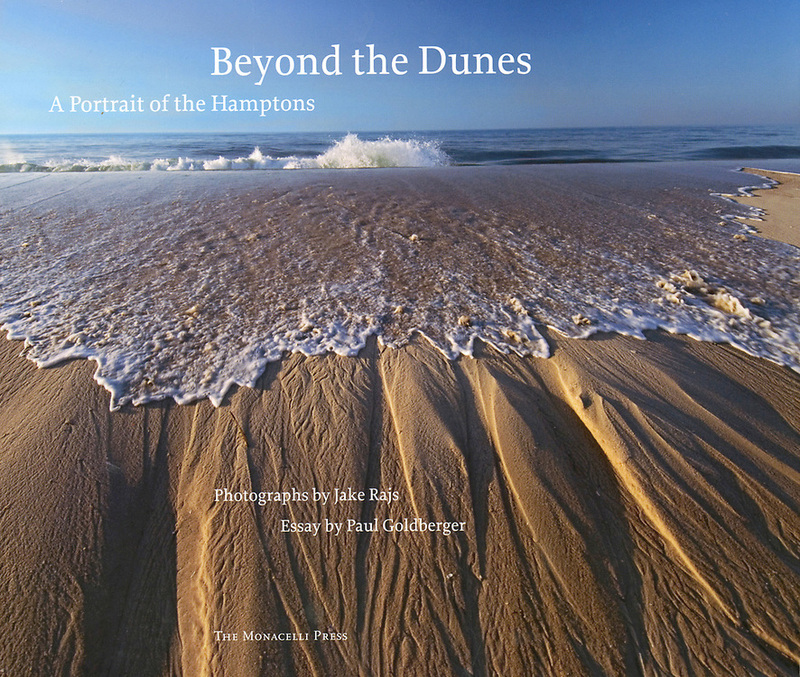 Acclaimed photographer Jake Rajs has created a compelling portrait of the Hamptons, juxtaposing privet hedges and pumpkin fields, crashing surf and serene coves, fishermen, and polo players, contemporary houses and modest shingled cottages. Most important, he has captured the light throughout the day, from misty dawn to the vivid colors of the sunset.